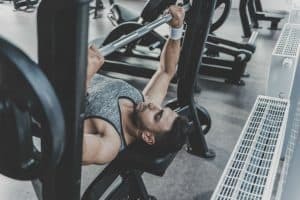 Having workout equipment in your home isn’t enough these days that is why most people are looking for something that’s portable and versatile. 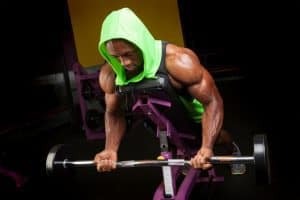 With lives being as hectic as they are, it’s almost easier to get your steps in by stepping up and down on a workout bench while doing the dishes than it is to walk around the block. We understand that not everyone has the time to do their research, so we looked at the Reebok Professional Deck Workout Bench and reviewed it for you. Find out more about it below. How to Use the Reebok Deck? When you think of the brand Reebok, you’re likely to think about sneakers immediately. However, Reebok has a long line of sporting goods that also includes fitness equipment. 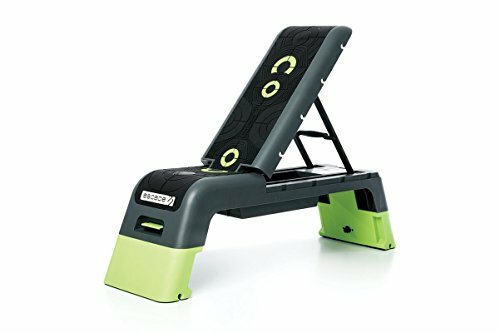 The Reebok Professional Deck Workout Bench was added to Reebok’s line as a way to mix cardio and strength training into one device and do so affordably. The great thing about the Reebok Deck is that it has a simple design and it's easy to use, so it’s convenient for both beginners and experienced exercisers. 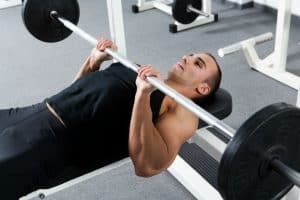 While it does have standard workout bench functions, you don’t need to be a weight lifter to use it. Anyone who is looking for some necessary cardio can use it as a stepping deck. As long as you are looking for something that helps you lose weight and tones and defines your muscle, the Reebok Deck is designed for you. The Reebok Professional Deck is the latest upgrade to the famous Reebok Step and is designed to have you breaking a sweat while giving you the ability to perform both cardio and strength training workouts on the bench. The flat, incline, or decline seat adjustment lets you quickly add resistance and strength training to your workout. When used as a stepping deck, the natural height of eight inches is ideal for lower impact aerobics, but you can adjust the intensity by merely raising the risers to a maximum of 14 inches. The deck is lightweight, easy to move, has a maximum user weight capacity of 252 pounds, is constructed from hard plastic, and features rubber grips at the base to provide a workout platform that doesn’t skid. The internal storage included in the compact design of the bench makes it easy to store weights, dumbbells, resistant bands, and other accessories used with the deck while you aren’t using it. The deck comes fully assembled, so there’s no need to stress about constructing it. There are included clips so that you can attach resistance tubes to give more variety to your workouts, and the deck is water resistant, making it ideal for outdoor use. There is so much versatility with the Reebok Deck and so many exercises that can be done, so it’s natural for you to wonder how you would use it and how you’d choose between some of the exercises. We always recommend looking at the owner’s manual before you do any training using the step but helping you along, here are a few ways to use your Reebok Professional Deck. Step: Using the deck as a step is a great cardio exercise. With the two risers folded in, it sits at eight inches, but you can quickly adjust it up to 14 inches if you are looking for something harder. It’s recommended that you start at a lower level if you are a beginner. Free Weights: Free weights aren’t included with the purchase but using them with the bench is a great idea. You can do more with the deck with added weight to work out more muscles. 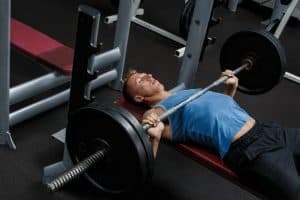 Keep in mind that the bench isn’t designed for heavy weight training and all guidelines outlined by Reebok should be followed for safety purposes. 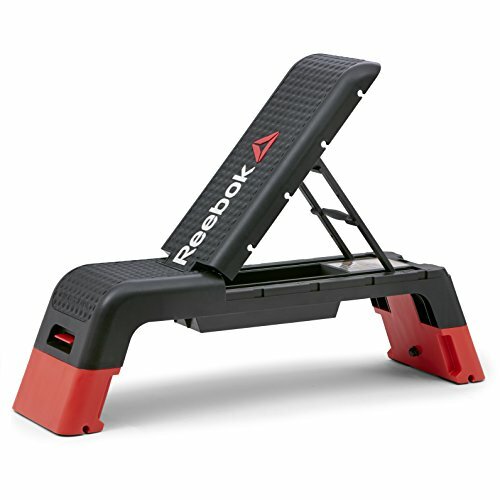 Resistance Training: The Reebok Deck includes hook channels that allow you to connect resistance tubes for strength training. There are four positions on the backrest, as well as channels located on the feet. 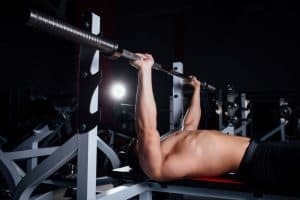 FID: Whether you prefer to use the bench in a flat, incline, or decline position is up to you, but you have the option of using all three with the Reebok bench. The deck is ergonomically correct and made from a material that doesn’t dig into your back. The difficulty level of your workout routine can change drastically by simply setting the seat at an incline or a decline position. The included YouTube video features other exercises that can be done with the Reebok Deck. Reebok provides one of the better decks on the market, so looking into alternatives for you that were in the same price range wasn’t as simple as we thought it might be. We wanted to ensure you were getting what you paid for, but that you also aren’t going to pay an arm and a leg. We looked at the Escape Fitness USA Aerobic and Strength Deck and decided it would work exceptionally well as an alternative. It has excellent reviews and includes the majority of features that come with the Reebok Professional Deck. You do pay slightly more for the Escape Fitness Deck, which we assumed is because of the extra steel rods that have been added for additional backrest support. After spending time researching and using the Reebok Professional Bench, we highly recommend it. 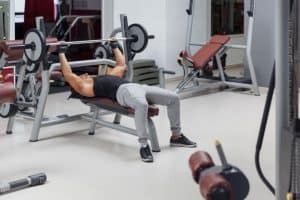 While the model isn’t designed for serious bodybuilders who are looking for a bench that supports a significant amount of weight, it is the perfect bench for other uses. No longer do you need to go to the gym to get in your cardio and strength training exercise as the Professional Deck gives you the option of doing both from the comfort of your own home. The sleek and compact design makes it easy on the eyes, and once you’re finished with your workout, you can store your weights inside, fold it up, and slide it beneath your bed until the next time around. It’s affordable and eliminates any need from having to stand in the middle of a crowded gym or step aerobics class again.